Rudraksha beads have amazing powers in them. The scientific explanation says that they have electromagnetic properties in them, when they come in contact with human body they help bring our TPS (thoughts per second) down. As our TPS level comes down we fall more in tune with the present moment, and hence our concentration, productivity and problems start resolving gradually. Various faced Rudraksha beads are known to direct the awaken energy to certain areas in the brain and correlate its flow with various nervous plexuses/ glands, thus releasing abstracted, negative aspects of consciousness, providing healing. Rudraksha beads help to open plexuses and start healing ﻿mind﻿ and body in an unbelievable time period as fast as 48 hours to 48 days. Rudraksha is a unique creation of life. A bead that leaves Gods and Siddha-s in awe. That powerful is that bead for human growth and evolution! As anything else spiritual, Rudraksha has to be experienced on one's body. Words can not describe its immense value. By recognising this value through a one time experience one becomes forever drawn and naturally attracted to Rudraksha. Information on miraculous powers of Rudraksha and Parad for human evolution is given in Vedic and Siddha literature, in Puranas and Upanishads. From times immemorial, Yogis and Siddhars have been using various Rudraksha beads as well as alchemic Mercury - Siddha Guttika Parad in order to balance energy flows in the body during and after the Kundalini awakening. For those on the Path, Rudraksha and Parad are the best tools for self-empowerment, self-realisation, self-mastery, spiritual power and longevity. There is no accomplished yogi/meditator without Rudraksha beads. Rudraksha beads carry Siddha presence and activate the inner Guru in a yogi. Knowledge on Rudraksha beads and Parad is a Siddha knowledge. It comes from within. Knowledge on Rudraksha and Parad mentioned in Puranas is comprehensive but not complete. It is only through the power of contemplation and spiritual insight one is able to know the full value and benefits of each Rudraksha bead, mukhis and the way to wear them in such a way that people of various categories, with various intentions and problems can benefit and evolve. 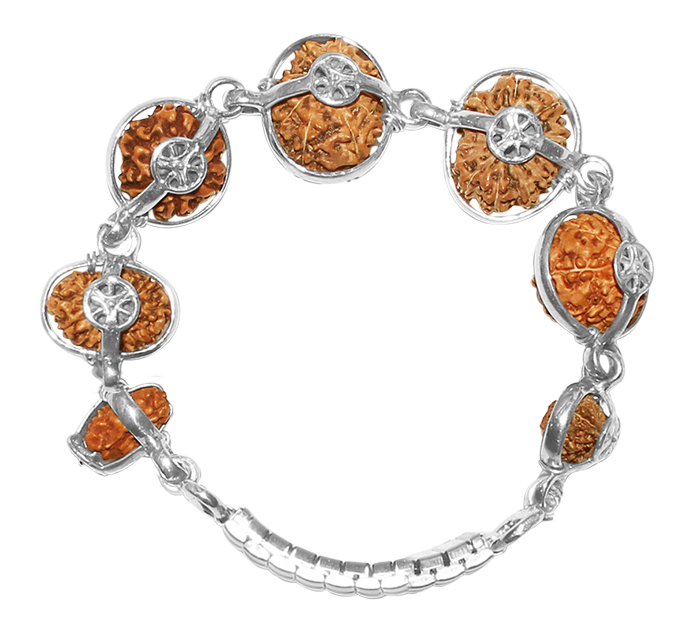 We have collected hundreds of references from people who experienced Rudraksha beads. Rudraksha beads work and they come by the blessing only, no more marketing needed!